Reaching a graceful, affordable balance of design and functionality requires rich imagination and specialized expertise. That’s where Wise Design Builders – a 5,000-square-foot showcase of innovative custom kitchen, bath and home design ideas – comes in. Our work integrates the latest trends in plumbing fixtures; cabinets; countertops; and floor coverings, featuring rich materials and top brands like Kohler and Viking. Whether you are renovating or building from scratch, the first step in your home’s transformation should be an inspiring walk through the Wise Design Builders design center. Many can remodel a home. But it takes a discerning client and a talented team to truly refine a space. From a kitchen or bath renovation to a whole house remodel or addition, we undertake refinement - the “act or process of making something pure.” It requires a higher level of communication, trust, design, and detail than simply managing the project or the budget. One that revolves around listening, pride, respect, and most importantly the history of the home and your vision for its future. There are few greater privileges in life than having an integral role in the transformation of your sanctuary. Our approach is simple – Be honest. Listen. 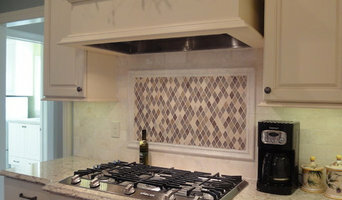 Make the process enjoyable and accomplish work our customer will want to show off. Your home is your greatest investment. Choose a distinguished remodeling experience working with a NARI-certified partner who carries over twenty years of accomplishments in the industry. Welcome to Architectural Homes, where our goal is to design and build one-of-a-kind custom homes for discerning clients throughout greater Milwaukee , WI area -Thank you all for the great job you are doing on our home. The process of building a home is at times stressful and in today's market, also costly. I cannot imagine going through this process without a builder that we can trust. Working with your team at Anders is the big stress reliever in this process for us. 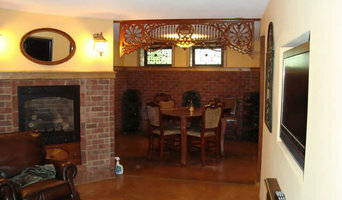 You are also so attentive to detail and so keyed into our personalities, and so in tune with our vision for this home. You constantly anticipate decisions that you know will matter to us, before we even realize that there might be a decision to be made. I am convinced that this is due to your years of experience working with detail-oriented clients. It is even evident in everything that each of you does, that you care about us and our home. Thank you for doing such a fantastic job! Mike M. -Happy Thanksgiving all! Just wanted to say before the moment passed that I am grateful that we chose a great team in you guys for this project. I was at the house today and it is all looking so beautiful. You have such great people working for you. I have come to enjoy them all. They all have such good things to say about you guys as well. Thank You...Jennifer H.
Custom, Quality, Green Home Builder in Southeastern Wisconsin. Aspen Homes is known for creative designs, green building practices and attention to detail. Your Dream…. Our Mission. Regency Builders is a family-owned custom home builder that has been building luxury homes in Southeastern Wisconsin since 1973. Regency has built its reputation on the philosophy that "If you can dream it, Regency can build it”. As a result, we have come to build some very extraordinary homes for some very extraordinary customers. Regency homes are timeless, charming, and meticulously crafted. Each home features exquisite detail and amenities that make each customer’s home truly unique. Design-build firms take on the responsibilities of architects, contractors and construction companies, all under one roof. These full-service firms focus on a streamlined design-build process — from the initial design to the estimating phase to physical construction — in the hope of creating an efficient experience for both the client and the company. Because the entire project is happening within one company, Waukesha design-build firms are able to overlap the design and construction phases of the project, which often speeds up the project significantly. In addition, these firms work to minimize risks for the project owner through single-point responsibility contracts. However, depending on the firm, you may still want to contact an interior designer or architect to help create the exact look you want. Here are some related professionals and vendors to complement the work of design-build firms: Interior Designers & Decorators, Landscape Architects & Landscape Designers, Architects & Building Designers, Photographers. Before deciding on a residential design-and-build company in Waukesha, WI, think about what you want from your new home. Do you want a large kitchen for entertaining? Do you need several bedrooms for children and guests? Do you want a finished basement for extra space or storage? 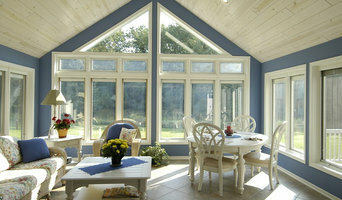 Look for Waukesha design-builders that specialize in the areas you're looking for. Budget is obviously a determining factor in the outcome of your project. To make sure you stay within your means, consider making a must-have list and a wish list. Gauge where the estimates are falling to determine which design-build contract can realistically strike the balance between the two. Find a Waukesha design-build company on Houzz. Narrow your search in the Professionals section of the website to design-build firms in Waukesha, WI. You may also look through Waukesha, WI photos to find a pool you like, then contact the design-build firm that created it.